As you come down Main St. (Rte. 97), coming from I-93, the building will be on your right, from I-495, on your left. There is limited parking in the front but plenty of parking at the back of the building. Exit 31 off 495. 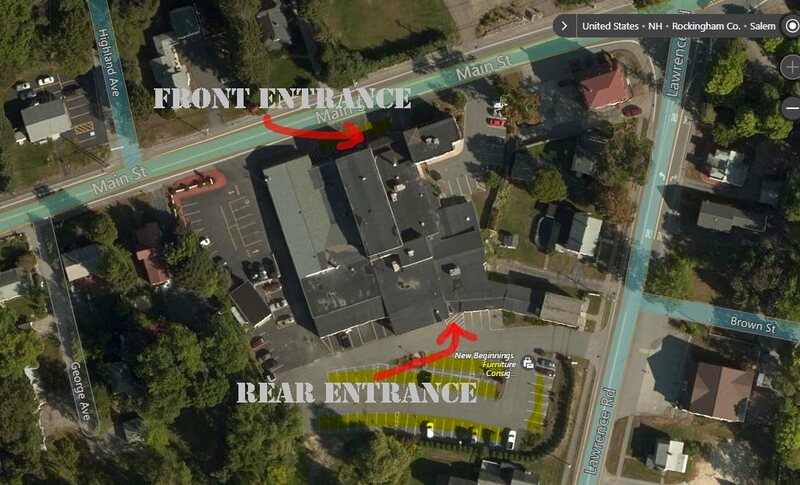 Park in lot DIRECTLY ACROSS from the 495 NORTH on/off ramps. The lot has a small lumber yard and some trucks, but car parking is closer to the building. There is a set of stairs that have signs for Dolphin Insulation, New England Yoga, and batting cages. Go up the stairs, walk in and take a left down the first hallway, and my office is halfway down on the right. I share office space with Minuteman Armament. By Appointment Only: Please call us to schedule an appointment (978) 361-3201. We are generally available 7 days a week.